Written by Executive Producer Marc Guggenheim himself, Sacrifices (Part 1 of 2) offers Arrow fans their first glimpse at just how things may be changing for the series in the wake of the earthquake that tore apart The Glades. 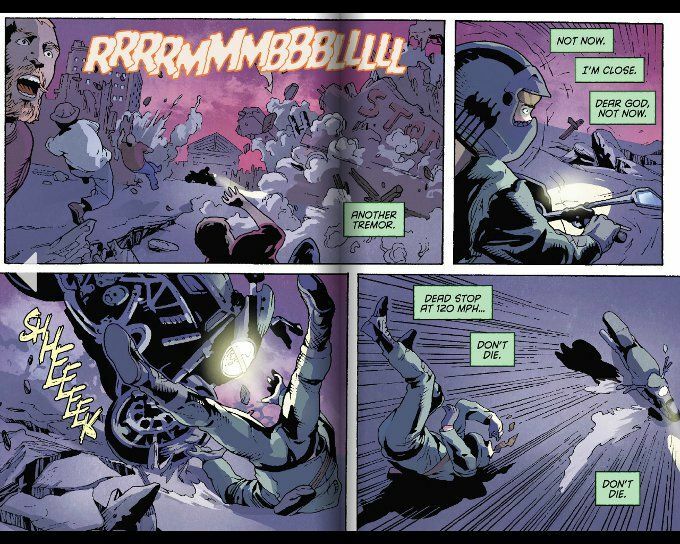 Cutting between the events of the Series Finale and a flash-forward to two weeks later, most of the issue is split between Oliver Queen fighting a gang of criminals in The Glades without his usual costume and Oliver's desperate race to save Laurel Lance from a collapsing building. Guggenheim's script, as per usual, is brilliant. The action of the issue is presented well and we get a sense of the destruction of the city that the show's budget could never convey on-screen. He even addresses one of the few problems I had with the final episode - how Ollie seemed to have a remarkably easy time driving to The Glades. It turns out he didn't. I shan't spoil this story's cliffhanger except to say that Ollie will once again be tested as to whether he wants to be a vigilante or a hero. Would that the art matched Guggenheim's script in quality. Allan Jefferson's pencils are decent enough and his characters look good in the close-ups and middle ground. In fact, there's a sight-gag for long time Arrow-heads as we see a figure who looks suspiciously like the classic comics Oliver Queen in one panel. However, Jefferson still has a problem with detailing his backgrounds. Inker Jonas Trindade doesn't help matters with inks so light at points they barely seem to be there at all. There are several panels where the only inking seems to be an outline around the characters that (barely) separates them from the backgrounds. 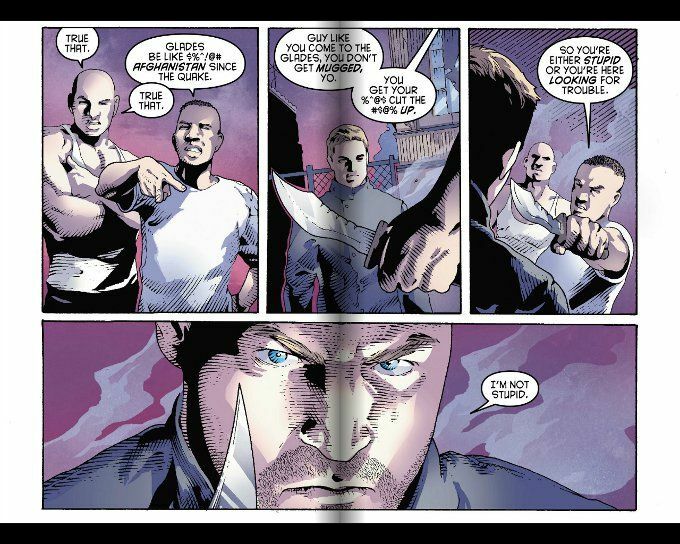 Despite this, I'd still recommend Arrow #35. The story comes through in spite of the awkward artwork. Arrow-heads jonesing for a fix won't want to miss this issue or the stirring conclusion next week. Next Wednesday can't come fast enough!